This week’s episode of The Flash saw Barry Allen left without his powers after Zoom finally took his speed, and while the former Fastest Man Alive is going to have to find a way to deal with that in the next instalment, it’s the one which follows that’s currently shaping up to be even more exciting. Directed by Kevin Smith, the filmmaker (who also helmed the Reaper pilot for The CW a number of years ago) recently made a podcast appearance to get fans hyped for his episode of The Flash, and it definitely sounds like this could be one of the Scarlet Speedster’s greatest adventures to date. With Barry (Grant Gustin) gone, the team must figure out a way to handle the return of an old enemy – Girder (guest star Greg Finley). Realizing Girder is retracing his steps from his last attack, Iris (Candice Patton) volunteers to act as bait to trap him in S.T.A.R. Labs. Meanwhile, Barry fights to return to his old life. Kevin Smith directed the episode written by Zack Stentz. The question here is, where’s Barry and what exactly could he be doing to “return to his old life”? While Earth-2 is certainly one possibility, I would’t be surprised if this has something to do with the Speed Force. 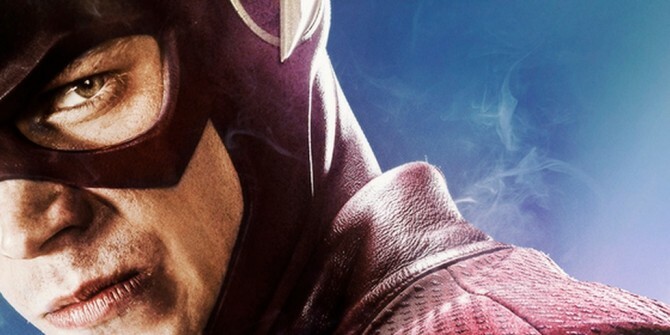 The comic book version of the character has ventured there a few times, and exploring that realm would add an interesting new wrinkle to The Flash while also serving as a way of once again making Barry the Fastest Man Alive.